We may think of churches, mosques, synagogues and temples as ordered places for organized religion. But what happens when the congregation moves away? Or when shifting borders or persecution mean that people can no longer reach them? And, in the absence of humankind, what happens when nature's unceasing efforts invade the hallowed walls? 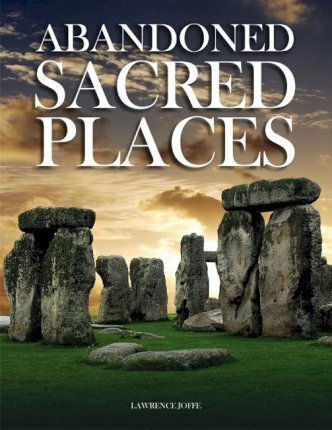 Abandoned Sacred Places is a brilliant pictorial exploration of both ancient and modern temples, synagogues, churches, mosques and stone circles that have been left behind. From the mysteries around Stonehenge in England and Carnac in France constructed thousands of years ago to crumbling inner cities churches and synagogues in present-day Detroit and Chicago, from ancient Roman temples to Mayan pyramids in Mexico, and from Hindu temples lost in the Indian jungle to Buddhist shrines in the Chinese desert, the book shows what happens when humanity retreats and nature is allowed to reclaim the land. Lawrence Joffe is a graduate in politics, philosophy and economics from Oxford University. He then took a postgraduate degree in journalism from City University and has written about 150 obituaries for the Guardian, as well as reviews for the Independent and Jewish Chronicle and features for the Middle East, among others. Born in South Africa and resident in London, Lawrence has edited numerous books, lectured on history and religion, and in the past has appeared as a commentator on BBC, Channel 4 and ITV. His own books include Keesings Guide to the Middle East and An Illustrated History of the Jewish People.